It All Belongs to… Me? In this day and age of the side chicks #winning and the power couples building, why the hell is Brandy and Monica singing about this foolishness- especially at their age- It All Belongs To Me? Women are not tricking off on men right now they’re getting tricked on. I mean seriously -__- If you’re giving gifts, extravagant ones at that, as a woman you should be receiving grand gifts in return. Its only right! It helps you to not be bitter when things go south because you have just as many gifts, if not more to take with you. Monica, you’ve already sung this song back on Makings of Me in 2006. Beyonce did too on Irreplaceable. Why aren’t Brandy and Monica doing a song like the one Monica did with Keyshia Cole a few years back- Trust? Now that would’ve been hotter than this bitter woman sing song they have going on. I hold them to a higher standard because of the quality music they’ve been known for since I was a little girl. This song is beneath them. Point. Blank. Period. Why does it all belong to you anyway? Seriously? What message is being sent with this song? Don’t use discernment when dating? Its okay to trick on a man but when you break up take everything back? How can you be mad when you gave it to him? Especially if he never asked for these gifts. Maybe, it all belonging to you caused him to do what he did. Overall, they look fabulous and sound phenomenal, but I can’t get with the lyrics at all, but as we all know the songs you don’t care for gets stuck in your head…. the irony! What are your thoughts on the subject? Thank you SO much for this post. These were my feelings exactly when I heard the song and watched the video. 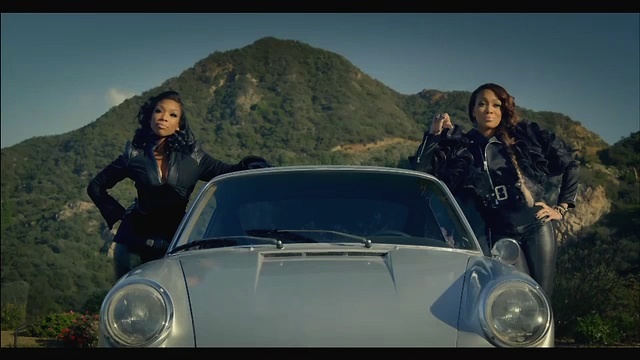 I feel Not just Brandy and Monica but so many other musicians need to do better when it comes to the work they put out. This is your job people, I’m expecting you to produce a quality product all the way through! You hit the nail on the head. Grown/mature women don’t need to be singing about dealing with broke dudes and letting him loose as if that’s somehow liberating. No what’s liberating is not feeling like you need just any old man around and knowing you can’t keep a sorry one around with gifts, etc. OF course he’s going to take advantage. You’re treating him like a child. Anyway I digress. Great post !